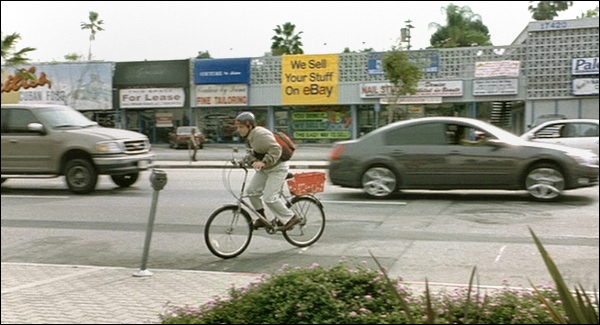 Actual Southern California locations where 2005's "The 40-Year-Old Virgin" was filmed. colonial apartment house, surrounded by his superhero and sci-fi figures. 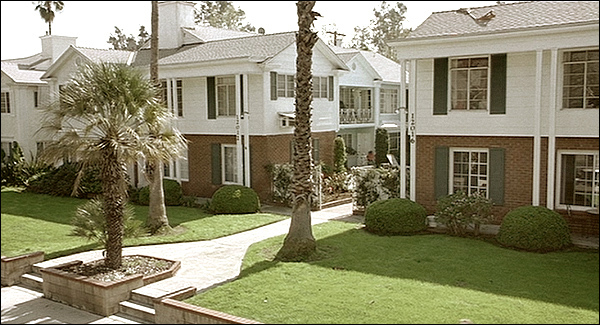 You'll find that apartment house at 12012 Moorpark St., in Studio City, CA. 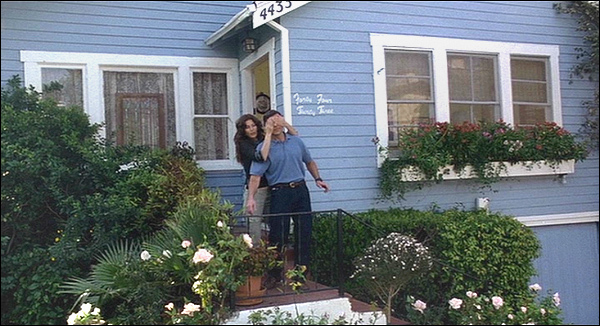 Andy's girlfriend, Trish (Catherine Keener) lives with her children in a small, blue house. 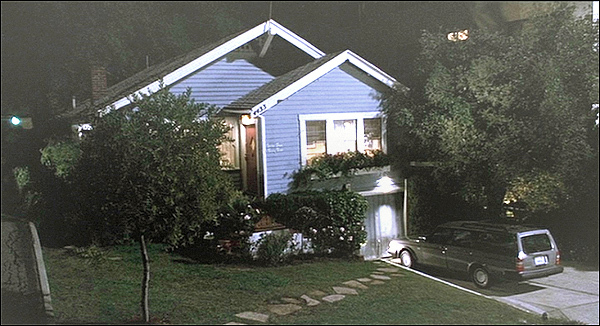 4433 Cartwright Ave, in North Hollywood / Toluca Lake. UPDATE: Unfortunately, this small, blue cottage was torn down somewhere around 2014.
here is a StreetView from 2015, after they demolished the place. Andy works at a large electronics store called Smart-Tech, part of an outdoor shopping mall. Skin Spa, Bally Total Fitness Center, Western Bagel, and a Good Earth restaurant. at her own "We Sell Your Stuff on eBay" store (where he later visits her). south side of Ventura Blvd, just a few doors west of the popular Versailles restaurant. The address is 17416 Ventura Boulevard, in Encino, CA. As if 2008, the 'eBay' storefront currently houses a "Universal Floor Source". 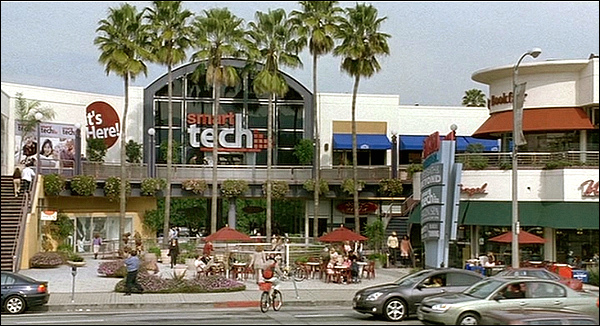 Click here for a map showing all of the movie's locations. 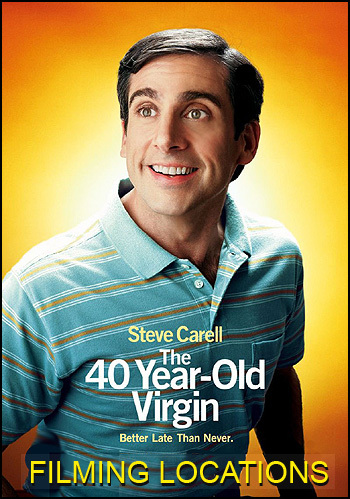 Most of photos on this page are stills from the DVD of "The 40-Year-Old Virgin"